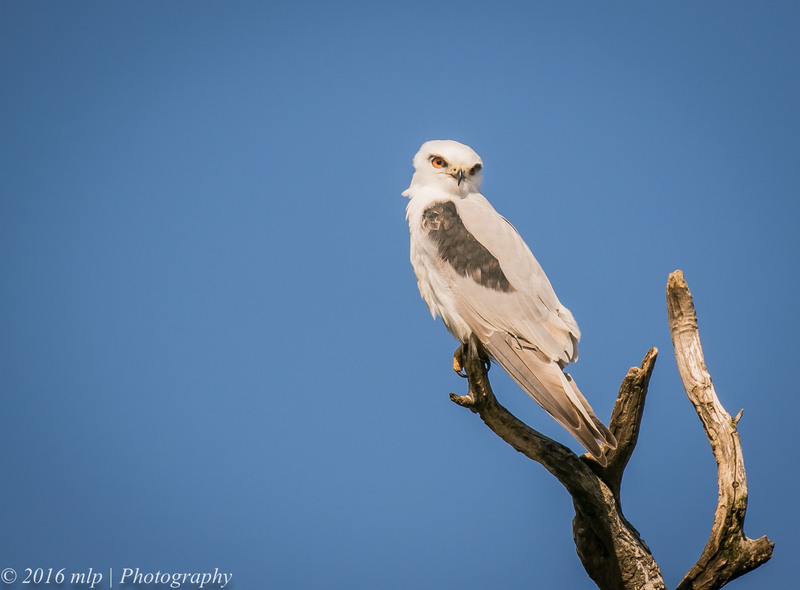 On a recent trip to the Western Treatment Plant, we saw and photographed a number of raptors including several Black-shouldered Kites. 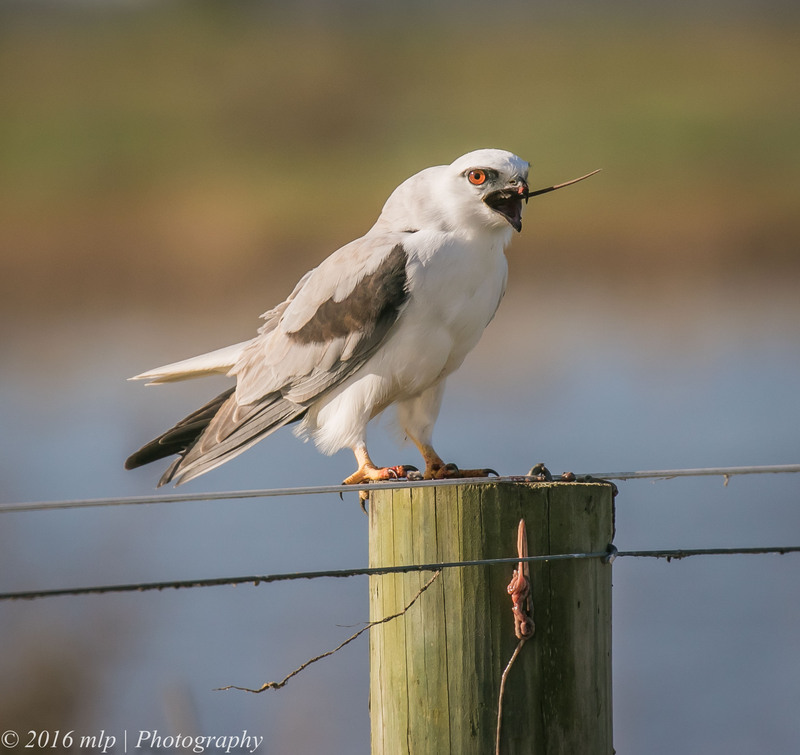 We drove along the lagoon tracks and found a kite feeding on a recently caught rat. 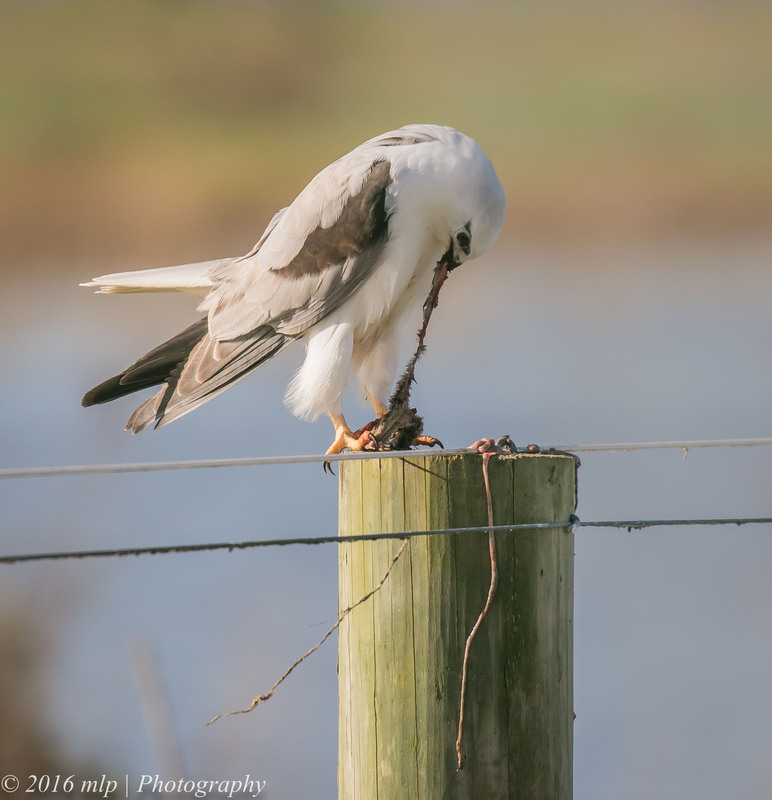 The kites favoured prey are the mice and rats that inhabit the long grass fringes of the lagoons at the treatment plant. 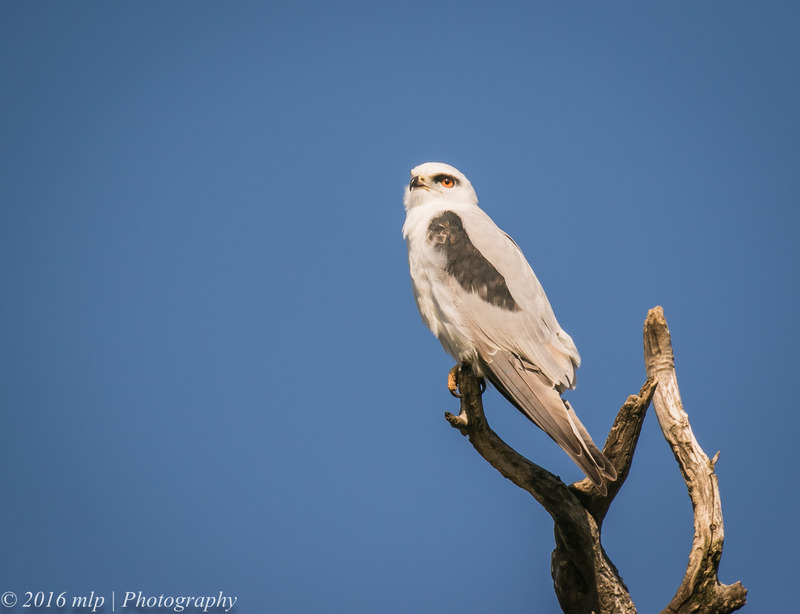 The kite is one of the two Australian species of raptor that can hover above a hunting ground and drop with sudden speed onto its prey. (the blog’s image logo was a kite that was hunting and hovering). 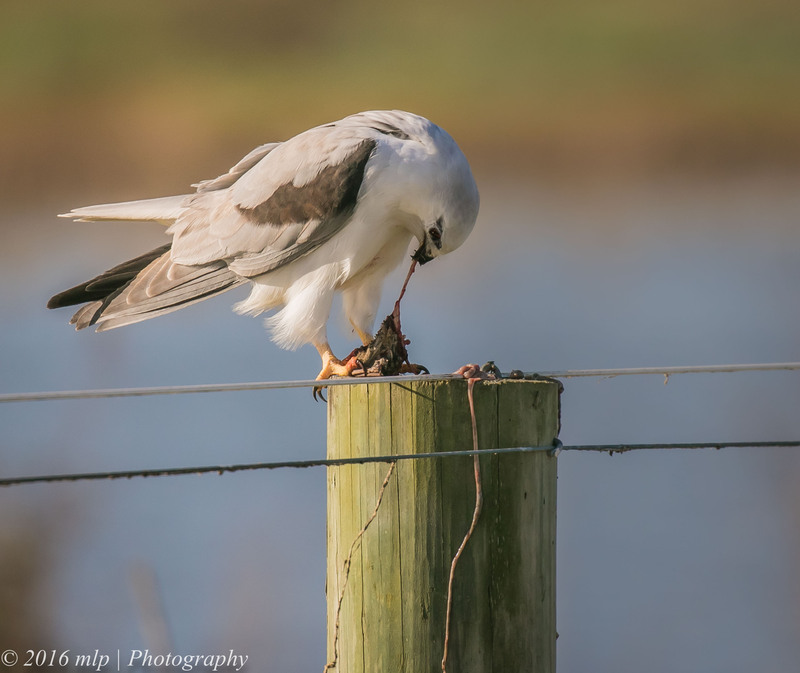 After it catches the rat, it then flies to a regular feeding post or branch and consumes the prey by tearing the rat apart and eating until the rat is small enough to swallow the rest whole. Rather gruesome but interesting to watch and photograph. 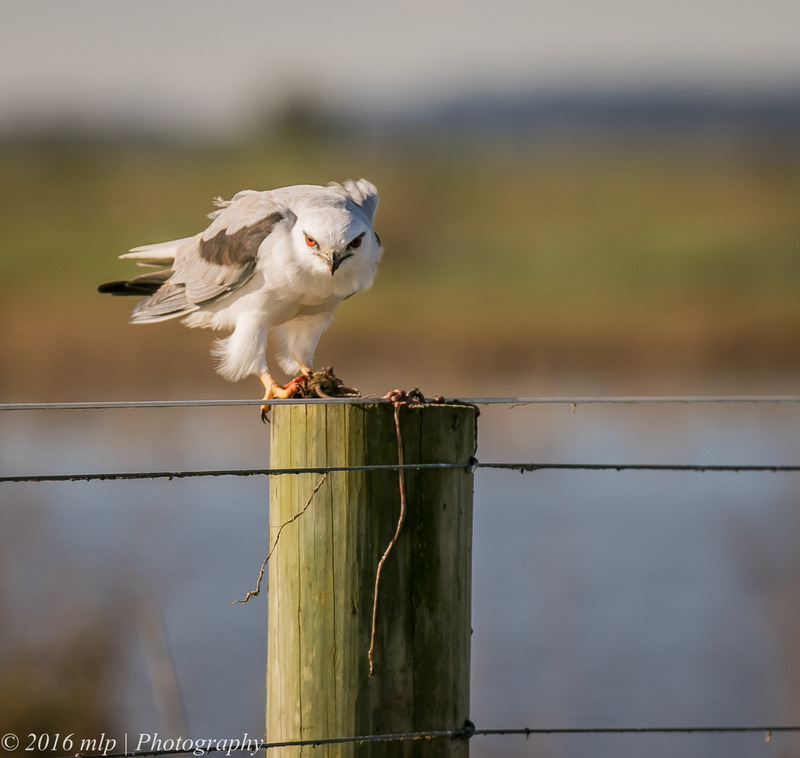 This entry was posted in Bird Behaviour, Birds, Victoria and tagged Australia, Australian Birds, Bird Photography, Birds of Prey, Black Shouldered Kite, Hunting, Kites, Nature Photography, Photography, Pooh Farm, Raptors, Rats, Victoria, Western Treatment Plant. Bookmark the permalink. Did you identify the p;rey species? I seem to remember Peter Menkhorst or somone publishing an article on a Bittern eating a mouse at the WTP. Hi Mike, no we could not identify other than it was too big for a mouse so most likely a species of rat. The BSK ate the rat quite quickly and was half by the time we arrived on the scene…once small enough he ate the remainder whole, tail and all….